The second of our un-boxing articles is the mighty Sicaran Punisher - this time added to the mighty Word Bearers for Brother Handro (Der H: "Add it to the wall of shame!"). We've done a YouTube video on this one - check it out over on our channel The Hobby Butterflies and check out our other videos as they arrive! The new white boxes from Forge World are quite nice - makes things feel more cared for than the bags of loot! 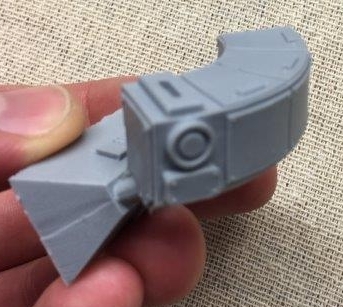 The hull for the Sicaran hasn't changed (as expected!) and is still very crisp considering the age of the model. The attachments for the track/sides is still unfortunate in that this rear panel is often warped and needs some TLC after de-spruing! 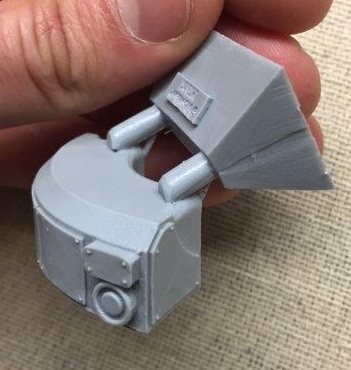 The parts for the new turret are really nice - crisp detail (the mould is BRAND new so should hope so!) 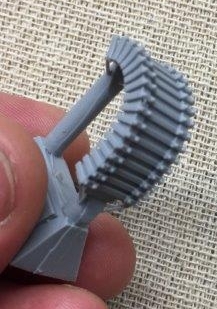 and a relatively straight barrel. The detailing on the ammo feed is particularly sharp. Overall a very nice kit - check out Brother Handro's progress in a future blog post! Thought for the day: "Heresy grows from idleness"